On June 22, 2018 Oakland Unite gathered street outreach workers, life coaches, crisis interventionists, and employment specialists together to share lessons and exchange best practices. When a shooting or homicide happens in Oakland, street outreach and violence interruption teams respond onsite immediately to connect peers and loved ones to services, de-escalate potential retaliatory acts, and even help to relocate people at high risk for victimization. Frontline staff develop trusting relationships in the community and help people find jobs, navigate the criminal justice system, and turn their lives around. They work directly with people involved in gun violence. They engage and support victims of human trafficking and family violence. Meet some of this workforce. 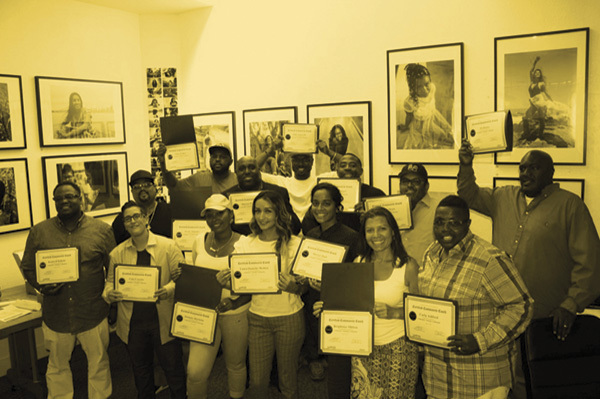 Oakland Unite is a public agency within the City of Oakland and funds community based partners to deliver life coaching, employment/education services, case management, street outreach, crisis intervention/conflict mediation and community leadership. Bright Research Group is a community design centered consulting firm whose mission is to support social impact investors in becoming more responsive to the needs, preferences and behaviors of consumers and impacted communities. of the 2018 Oakland Unite Summit. © 2018 Oakland United and Bright Research Group. All Rights Reserved.